The leaves are beginning to fall, but that’s no reason to halt green growth this autumn. With the first ever, government backed Green GB Week upon us, there’s a spotlight on sustainability. Ørsted share a few ideas on how manufacturers can reduce their carbon footprint – and energy costs. Changing to renewable energy is a simple way to reduce your carbon emissions, without making any operational changes. Using 100% renewable electricity means you can report zero emissions for greenhouse gas reporting, which is increasingly attractive to supply chains and consumers alike. In fact, a recent survey showed that 3 out of 4 UK consumers would choose products from companies that use renewable energy over those that don’t. So, operating sustainably is good for your business as well as the planet. The good news is that green electricity shouldn’t mean a price premium. 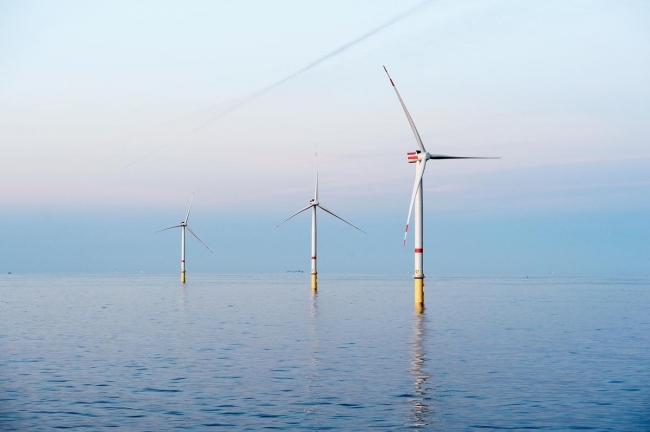 At Ørsted, we’ve been providing businesses with 100% renewable electricity from our UK offshore wind farms at the same price as ‘brown’ electricity since 2016. Manufacturers can then reap the CSR and supply chain benefits of going green, without impacting the budget. Green gas (biomethane) is also an option. Much more sustainable than natural gas, green gas comes from several renewable sources. These include waste water treatment plants, food waste, and residues such as straw and unusable vegetables. Ørsted can now offer green gas to businesses – with plans to develop this product more in the future. Find out more here. Improving your energy efficiency is a “win-win”, helping to reduce overheads and CO2 emissions. Finding the time to review operations and identify energy reduction opportunities can be challenging. However, most manufacturers will fall within the criteria for the Energy Savings Opportunity Scheme (ESOS), which is a mandatory scheme to assess how businesses can reduce their energy consumption. Phase two of ESOS is on the horizon, with all audits due to be completed and submitted to the Environment Agency by 5 December 2019. Why not take advantage of having a specialist assess your business? Only those companies that go on to implement at least some of the findings will find that they reap the benefits of ESOS. Many manufacturers will have some kind of back up generation on-site, but the chances are you could be getting more value from this. As well as providing contingency supply, on-site generation enables manufacturers to take better control of costs. Having an asset that can quickly be turned up or down in response to changing energy costs means you can avoid the most expensive periods, or even export electricity when wholesale prices are high. As diesel becomes more expensive, it might be time to investigate cleaner back up options that run more efficiently and are also more responsive. Creating a cleaner energy future is core to our business and for that reason we support businesses looking to install embedded generation on their premises. We help to find more sustainable options and offer support with the upfront funding. Businesses can then pay for that generation from OPEX over a longer period, rather than having to identify CAPEX funding from the outset. Find out more here. The time at which you use energy has a significant impact on your costs, as energy used during peak demand periods is much more expensive. It’s well worth reviewing your operations and maintenance schedules, to see whether outages can be planned during the winter when prices are at their highest, and whether your most energy-hungry assets can be maximised during cheaper times. Site optimisation software can really help to plan out optimum run schedules that take account of time of use costs, as well as the limitations of your equipment, without distracting your people from the day job. In fact, Kodak Alaris were able to trim 11% from their energy costs using that approach. Not only is time of use adjustment good for cost control, you’re also supporting a more efficient, greener energy system, as by smoothing out usage patterns, less emergency generation is needed to keep up with demand. Demand side response schemes are a great way to earn revenue, by optimising the flexibility to turn consumption down – or even export on-site generation – during those times when the energy system is under pressure. There are a whole range of different demand side schemes, with varying levels of commitment and reward. National Grid run several schemes including Short Term Operating Reserve and Frequency Response, whereby businesses make contractual agreements to deliver units of energy as needed for a financial reward. Further schemes have been developed to complement some of the more established Grid-run schemes. For example, Renewable Balancing Reserve enables companies to choose when they wish to participate and name their desired strike price, opening up a commitment-free revenue opportunity which is appealing to many. If businesses contribute their flexibility, less generation is needed to balance the system, making for a cleaner, more efficient energy system for everyone.